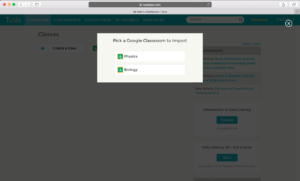 Do you use Google Classroom to manage your classes, distribute assignments, and communicate with your students? 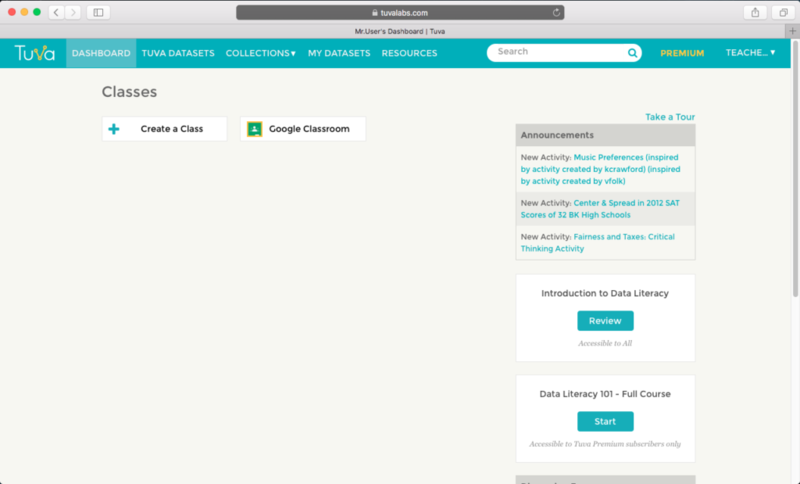 From your teacher dashboard, click on the Google Classroom button. 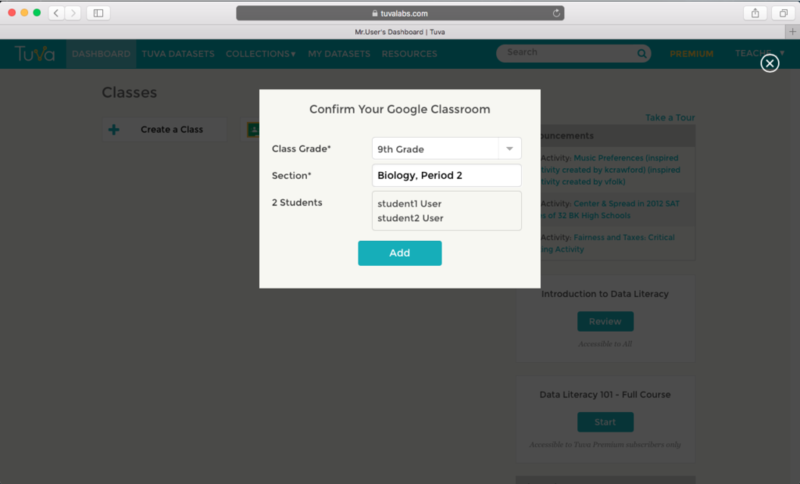 Google will ask you to give Tuva the permission to connect to your Google Classroom account. Click on Allow. Tuva will fetch all your existing classes and students from Google Classroom. Choose the class and students you want to import into Tuva. Choose a Grade and provide a Section name for this class. Click Add. That’s it! 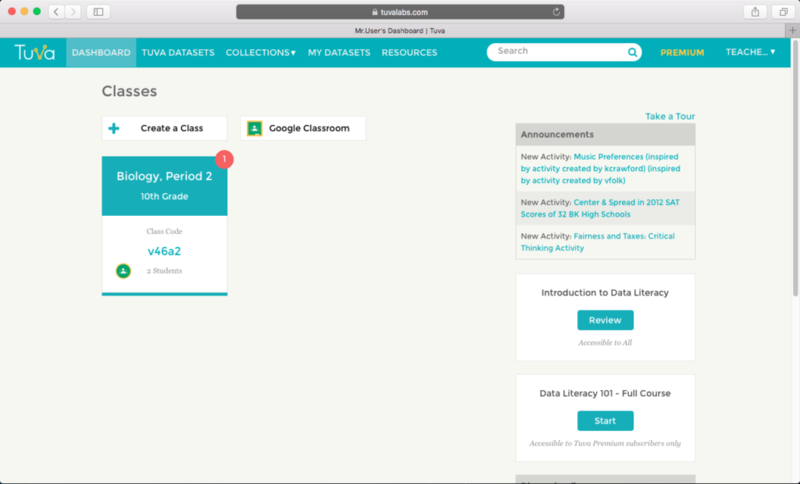 You have just synced one of your Google Classroom classes on Tuva! What are the underlying foundations of the United States government? What are the functions of the executive, legislative, and judicial branches of our government and how do they work with each other? Who are the 8 chief justices currently in the United States Supreme Court? What are the demographics of our Senate and the House of Representatives? Today, we are excited to announce the latest Tuva Collection on the US Government for Tuva Premium subscribers. The US Government collection enables students to learn and critically think about the different aspects of the federal government through the lens of data. These datasets and activities are just a start. Over the coming months, we will continue to curate and publish new datasets and activities that you can use in your math, social studies, english, and other classes to explore various aspects of the US government with your students. We are just over a month into the new administration in the White House. The US Government collection is a fantastic way to meaningfully engage our students in important civics issues through the lens of data. Yesterday a data visionary, public educator, and storyteller Professor Hans Rosling passed away in Uppsala, Sweden. Dr.Rosling was a professor of global health at Sweden’s Karolinska Institute. He founded the Gapminder Foundation in 2005, and decided to dedicate his time and energy to use data and statistics to debunk myths and provide a truer picture of our world. In his 10 TED Talks — the most ever by a single person — he addressed critical global issues such as population growth, child mortality, poverty, and many others through the lens of data and simple statistics. There has never been a more important time to enable our students and future global citizens to think critically about information, ask questions, use data as evidence, and have the ability to make sense of data and statistics they encounter every day. 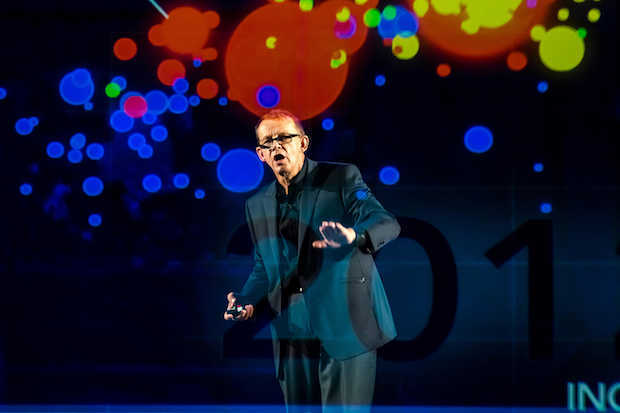 All of us at Tuva have been greatly inspired by Professor Rosling’s vision and work, and in his passing, we are doubling down on our mission to make data and statistics accessible and usable for all. Thank you Professor Hans Rosling, for your data stories and all your inspiration!